We are settling into another week, where we take a look at the weekend games that passed and the boot spots that followed. Once again our tireless search through the many games bore fruit, where we spotted custom boots, exciting changes and a lack of the same. So without further ado; let's go! 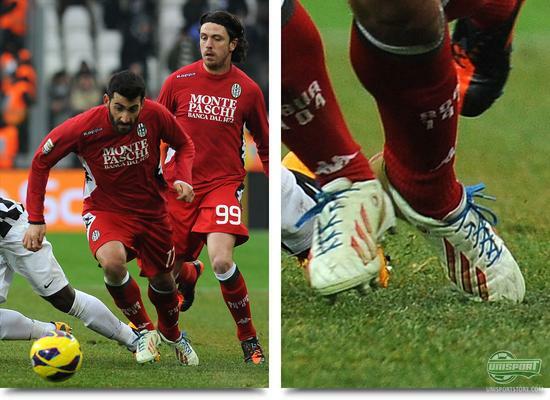 Nicola Belmonte (AC Siena)  Adidas F50 Adizero miAdidas White/Pink/Light Blue It is getting more and more popular among the professionals to design their own boots and the trend has now made it to Italy. AC Sienas Nicola Belmonte has also created his own pair of Adidas F50 Adizero in White/Pink/Light Blue, which resembles one of the official colourways from the second generation of the boot  the same one Liverpools Daniel Agger still plays in. Rafaelle Palladino (Parma)  Adidas F50 Adizero Green/Purple/Black Older generations of the Adidas F50 Adizero continue to pop up around the world and in the weekend we spotted a pair of the very first incarnation. This time it was Rafaelle Palladino from Parma, who had jumped in a pair of Green/Purple and this was actually a colourway, which ,in Spain, was exclusive to Barcelonas David Villa. Lionel Messi (Barcelona)  Adidas F50 Adizero Yellow/Black The Argentinian wizard could, last week, unveil his very own version of the Adidas F50 Adizero in a cool red and white colourway. This has however not been enough to lure Messi out of his Adizero Yellow/Black and this may very well be, because he is reluctant to give up the leather upper, which the Messi edition does not have. What do you think; will Messi warm to the idea of the new microfibre upper? Or will he get a pair tailor made with leather? 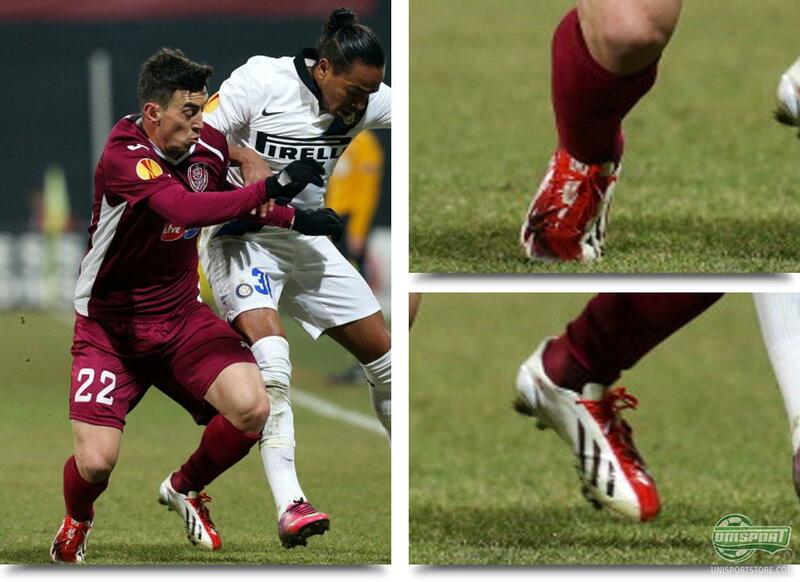 Ioan Hora (CFR Cluj)  Adidas F50 Adizero Messi Edition Red/White When Messi won't spring to action, someone has to pick up the mantle. Ioan Hora has overtaken the Argentinian and had no hesitation in giving the new Adidas F50 Adizero Messi Edition Red/White their début. It is quite funny how a relatively unknown player like Hora, is the first to show off the boot, when it actually is exclusive to Messi. James McClean (Sunderland)  NikeID Mercurial Vapor IX Purple/Black/White There's a comeback for Unisports all time favourite player. 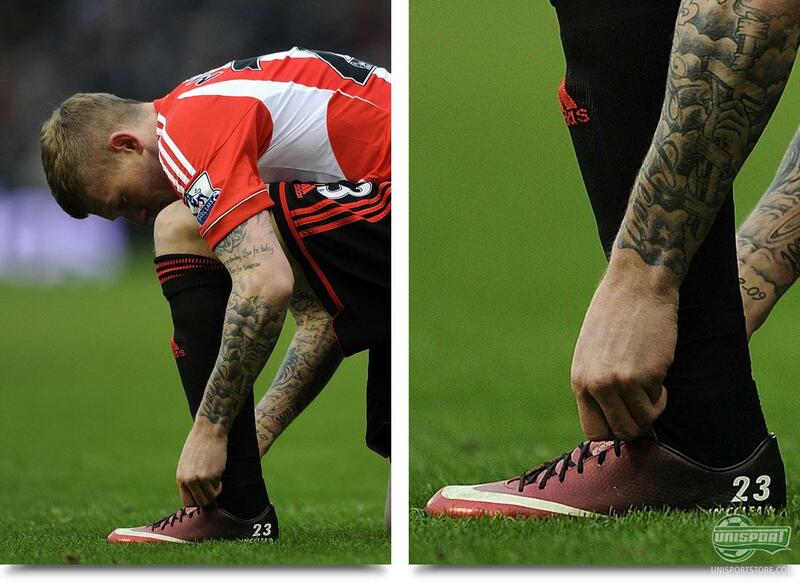 James McClean has had a pair of Nike Mercurial Vapor IX designed, which resemble the launch colour quite a bit, but which differ on the heel, where they are black and because it has a glow in the dark Nike-swoosh. Furthermore, we are loving the ID customisation on the heel, which really makes it unique. 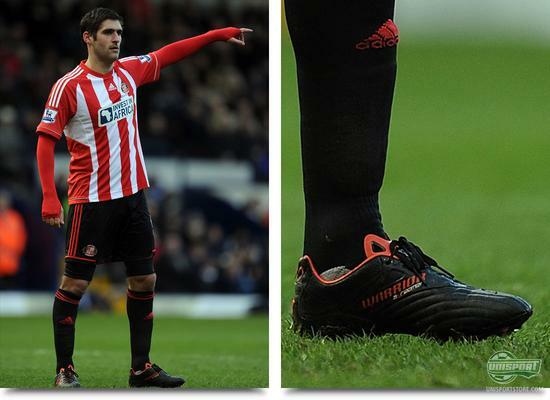 Danny Graham (Sunderland)  Warrior Sports Skreamer K-lite Black/Red The English striker took to the field in a pair of blackouted Warrior boots a couple of weeks ago and now it looks like he has completed the move to the Americans. In any case he played the weekends game in a pair of Skreamer Pro K-lite Black/Red and this actually makes him the only professional, who isn't using the Turquoise/Orange model. Sergio Agüero (Manchester City)  Puma EvoSpeed 1 Red/White/Blue In the last couple of days we have been busy unveiling the new colourways from Puma, which have all shared a similar colour combination. 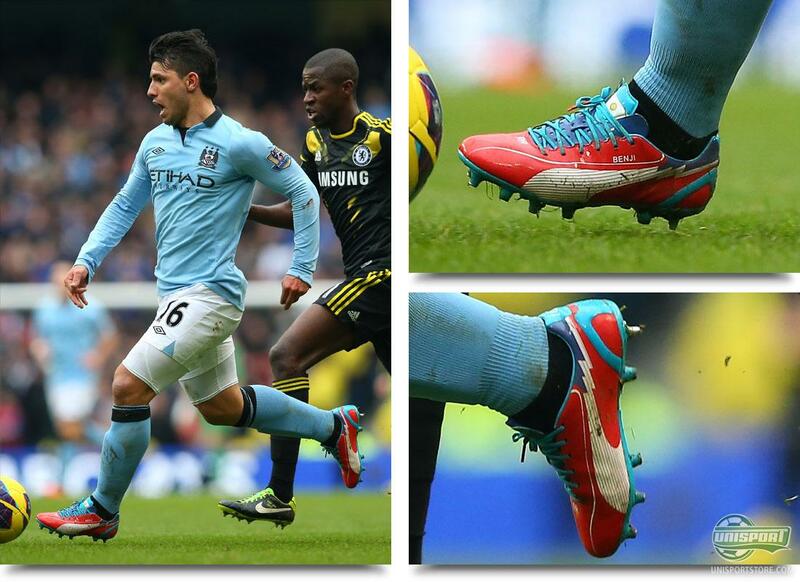 Sergio Agüero is one of the biggest names in the EvoSpeed collection and he was not slow to début the new Red/White/Blue colourway, when Chelsea visited the Etihad Stadium. Michael Carrick (Manchester United)  Puma King White/Blue/Red In a true David against Goliath game the entertainment was only provided in little bursts, but we did, during the game, take note of Michael Carricks new boots. In the brand new Puma King White/Red/Blue he commanded the midfield and definitely lived up to his predicate as a #ControlFreak. Rafael Da Silva (Manchester United)  Nike T90 Laser IV ACC Citron/Black/Volt In an otherwise rather boring game there was one moment of brilliance, when the Brazilian defender Rafael slammed it into the top corner and we have got some United fans here at Unisport who are already proclaiming it as the goal of the season. He did so in a pair of Nike T90 Laser IV ACC Citron/Black/Volt and when you consider this is considered a precision boot, you have to say the goal seemed to be proof of its quality, but this would not be the last we saw of the boot. 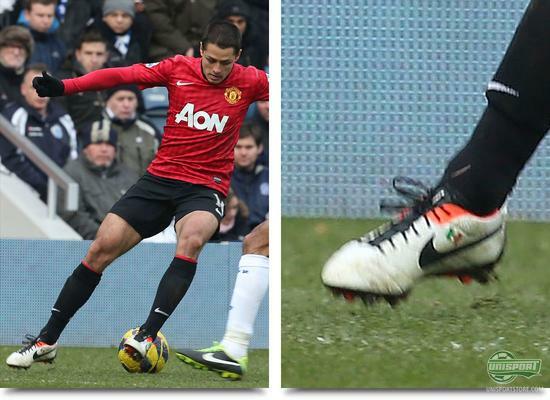 Javier Hernandez (Manchester United)  Nike Tiempo Legend IV ACC White/Black/Total Crimson It is a well documented fact that 'Chicharito' has a fanatic approach to his football boots, which means he will only play in white boots and has until now been scoring goals in Nike Tiempo Legend IV White/Green, but now the Mexican has finally decided to retire them after years of faithful service. Instead he has laced up a pair of the new Legend IV ACC White/Black/Total Crimson and this almost makes him the sole wearer of this boot, excuse the terrible pun, but good lord does it look sharp! 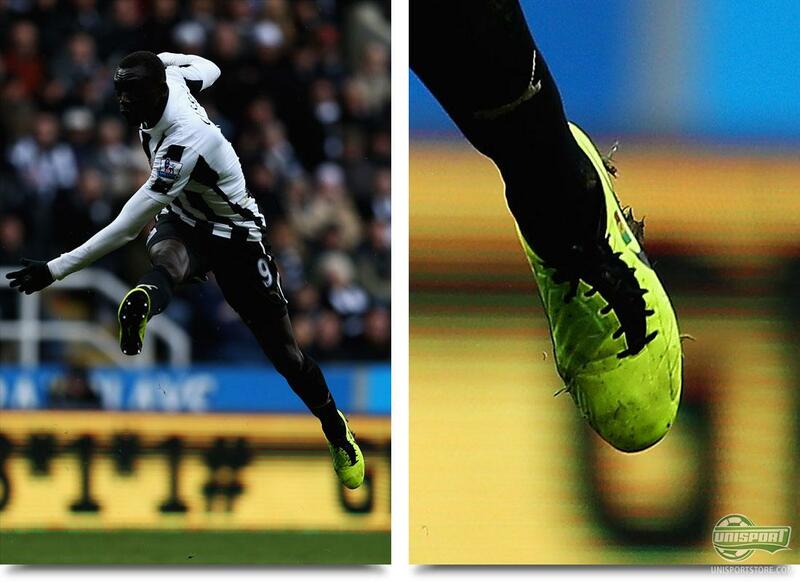 Papiss Cissé (Newcastle)  Nike T90 Laser IV ACC Citron/Black/Volt After stubbornly keeping to his Nike T90 Laser IV Blue/Silver/Black the Senegalese finally changed boots. He went for the very popular T90 Laser IV ACC Citron/Black/Volt and how do you give them the best possible début? You score the undisputed best goal of the season so far. The goal actually resembled the one he scored against Chelsea last season; so it will be exciting to see what he pulls off next season. 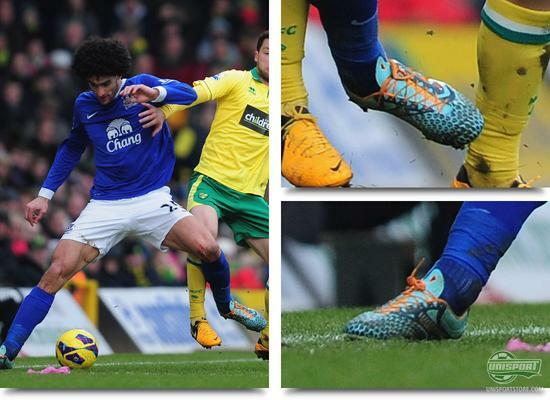 Marouane Fellaini (Everton)  Warrior Skreamer S-lite Turquoise/Orange Until now every single one of Warriors professional athletes have been playing in a masked version of the Skreamer K-lite with kangaroo leather, but now it seems they have lured their biggest name into the microfibre model, the Skreamer Pro S-lite. A very eye-catching colourway, which definitely is starting to become a more and more noticeable boot in the Premier League. We are looking forward to seeing what Warrior do next. 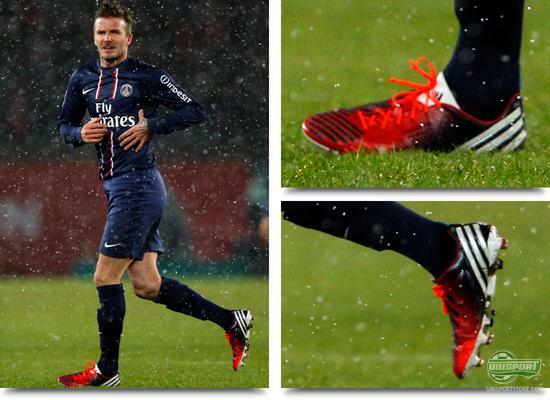 David Beckham (PSG)  miAdidas Predator LZ Red/Dark Blue The longest awaited début in recent time definitely calls for a pair of special boots. 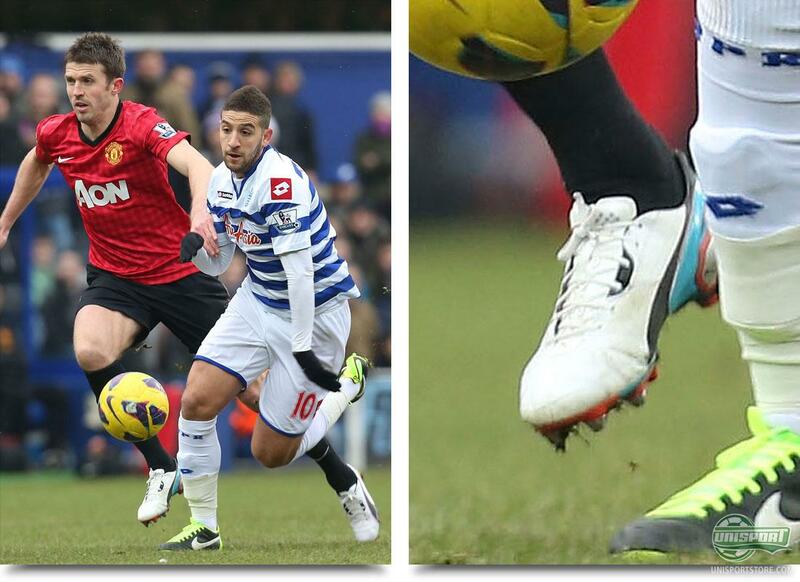 This is where Becks' son Brooklyn stepped up and designed a pair of Predator LZ, which match PSGs set magnificently. Furthermore the iconic Englishman was greatly involved in the lead teams second goal, when he elegantly chipped Jeremy Menez into space, who easily found Zlatan in front of goal. 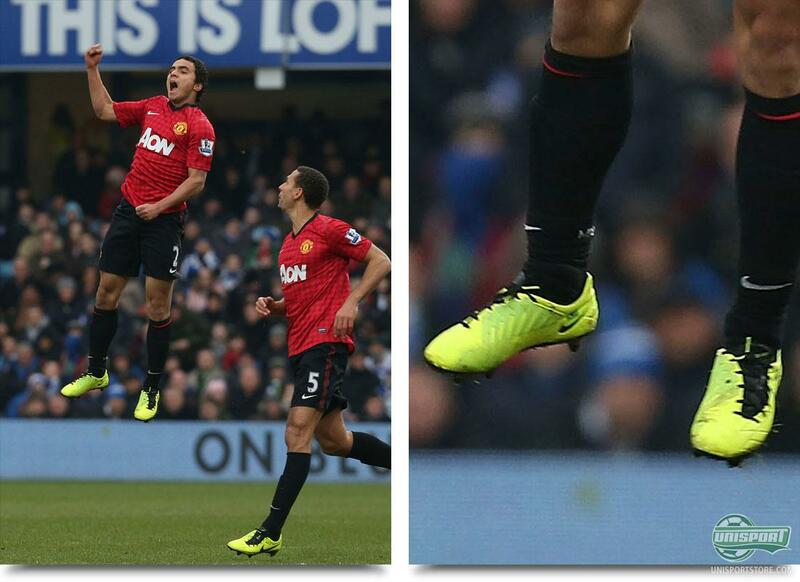 Yet another eventful weekend with stunning goals, cool boots and the usual surprise. What did you think of this weeks round of boot spots? 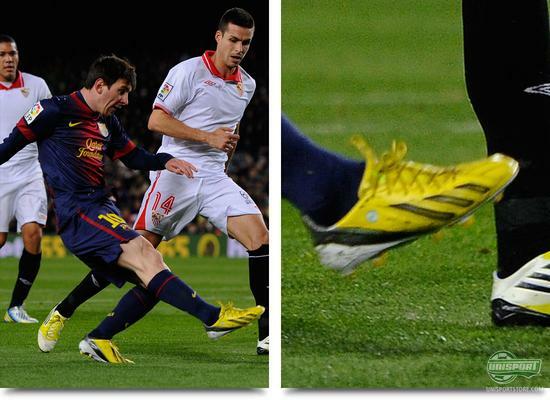 What are your thoughts on Messi not changing boots yet  is he waiting for tonights El Classico? And what about Beckhams custom boots? Share your thoughts in the box down below.